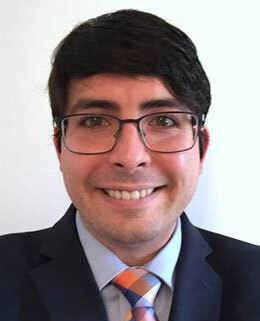 Dr. Jeremy Balint is a licensed physical therapist who joined the Allied Pain and Spine Institute team in 2019. Dr. Balint utilizes his diverse clinical background and expertise to provide cutting-edge modalities, manual therapy, therapeutic exercise science, and personalized care. He closely collaborates with a renowned team of medical doctors and other allied medical disciplines to deliver efficient, effective therapy interventions. Dr. Balint has an engaging, amiable personality and a reputation for possessing a “heart of a healer.” Both an advocate for patient-centered healthcare and a passionate educator, Dr. Balint takes an integrative and collaborative approach to chronic pain management in order to improve quality of life through better movement. Born and raised in New Orleans, Louisiana, Dr. Balint obtained a Bachelor’s degree in Kinesiology and received a Doctorate in Physical Therapy (DPT) from Louisiana State University Health Science Center in New Orleans. Dr. Balint specializes in general orthopedics, neuromuscular re-education, balance intervention, and chronic pain management. He is an active member of the American Physical Therapy Association, a recreational runner and hiker, a talented musician, and is involved in both education and research. Dr. Balint firmly believes that exceptional physical therapy begins with empowering people with hope and inspiring patients to undertake an active role in managing their health.